Dubai: Dubai is just about to mint another batch of millionaires. 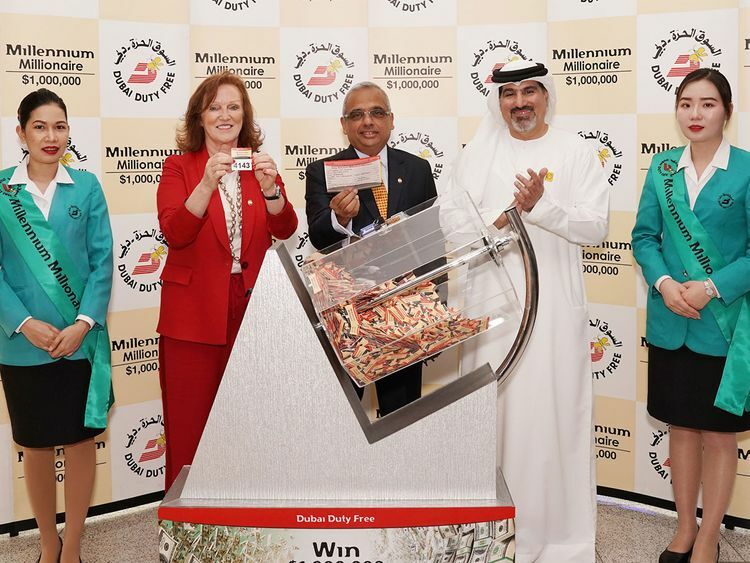 Two Dubai-based expatriates were declared winners of $1 million at the latest Dubai Duty Free Millennium Millionaire and Finest Surprise draw held at Dubai International Airport on Tuesday. One of the winners, Michael McGinley, became the first-ever Irish national to strike big at the draw since its inception in 1999, while the second lucky participant, Mukhtar M., is a Canadian passport holder who has been buying tickets for a decade. McGinley bagged the jackpot with his ticket number 4143. The Dubai-based expat has also been a regular participant of the millionaire draw, buying at least a coupon whenever he travels to Ireland, which is usually around five to six times a year. The second Millennium Millionaire winner of the day, Mukhtar, is a holder of ticket number 2060. The 37-year-old Canadian national living in Dubai bought his winning ticket at the Tennis Village during the recent Dubai Duty Free Tennis Championships. A regular participant in the promotion and a resident of Dubai for 27 years, he works as a real estate broker. For Mukhtar, the good fortune came after a decade of buying lottery tickets, and he was surprised when raffle organisers finally gave him a call to deliver the news. The draw was conducted by Dubai Duty Free’s Ramesh Cidambi, chief operating officer; Salah Tahlak, executive vice president – corporate services and Sinead El Sibai, senior vice president – marketing.